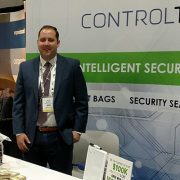 SAN FRANCISCO, Calif., (January 16, 2018) – CONTROLTEK, an emerging leader in retail product protection, launched a new website showcasing EAS and RFID tags, systems and consulting services designed to help loss prevention teams reduce shrink and increase work efficiencies. 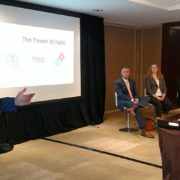 Together with Carrie Wilkie from GS1 and Brand Elverston from Elverston LLC, Steve and Tom gave the conference attendees a preview of the changes coming to cash in transit in the near future. They illustrate the present state of cash in transit with a simple analogy: one can easily track a pizza order on one’s smartphone, but one still can’t track a bag full of cash traveling from a bank branch to a central vault. SAN FRANCISCO, Calif., (October 25, 2017) – CONTROLTEK, an emerging leader in retail product protection, has received the Integrator of the Year Award by Nedap, the Netherlands-based manufacturer of increasingly popular iD Top and iSense EAS systems. 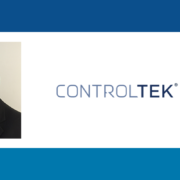 “Nedap is pleased to honor CONTROLTEK for leading the way in total system deliveries this year and for the success of its first time right program,” said Pat O’Leary, Nedap’s vice president and general manager. 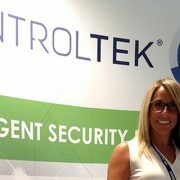 Team CONTROLTEK participated in this year’s conference of the Association for Financial Professionals (AFP) by demonstrating different ways thieves attempt to steal cash in transit, and the anti-theft measures our company incorporates into our security products. On display were the methods including heat, cold and liquids often used by would-be thieves, and how such methods are foiled with tamper-evident packaging. Tom Meehan, a recognized expert in the field of loss prevention, offered to the conference attendees the data that shows how emergency response can be improved through the setup and proper use of security operations centers. Some of the topics he touched upon were how collaboration between different departments within an organization improves emergency response, how incident command systems are used to organize a response within a hierarchical structures, and how publicly-available information sources can be used to speed up emergency response. Our team traveled to Chicago to attend the Secure Cash & Transport Association’s annual conference on strengthening the security and efficiency of cash in transit. 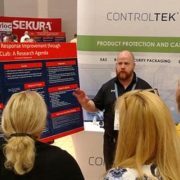 Showcased at out display booth were the latest solutions from CONTROLTEK designed to reduce instances of theft, such as tamper-evident packaging, security seals and void tape. HAYWARD, Calif., (August 10, 2017) – CONTROLTEK, an emerging leader in retail product protection, announced the release of the first EAS tag made specifically for small leather goods. 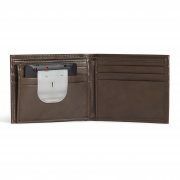 The self-alarming tag dubbed the FlatGuard™ is slim enough to fit inside a wallet and other merchandise too small for classic EAS tags, yet still provides strong visual deterrence and a 90 dB anti-tampering alarm. 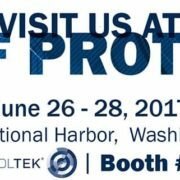 HAYWARD, Calif., (Jun 22, 2017) – CONTROLTEK, an emerging leader in retail product protection, will debut a suite of new retail security solutions next week at the NRF Protect conference in Washington, DC. 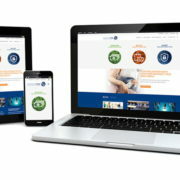 The new solutions will include new EAS tags, a new system and tamper-evident cash packaging. 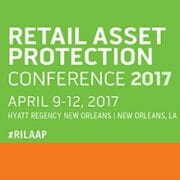 CRANFORD, N.J., (April 6, 2017) – CONTROLTEK, an emerging leader in retail product protection, will throw a Mardi Gras-themed party at the Bourbon Street in New Orleans for loss prevention professionals attending the RILA Asset Protection Conference. The event will be held at the Bourbon Cowboy on Tuesday, April 11, 2017 starting at 7:30 p.m.